Oak Grove is starting to change, and Fallon Kraxberger and Bobbie Paredes are sensing that residents want to experience a sense of community. "Downtown Oak Grove is a beautiful shell — good things are coming," Kraxberger said. 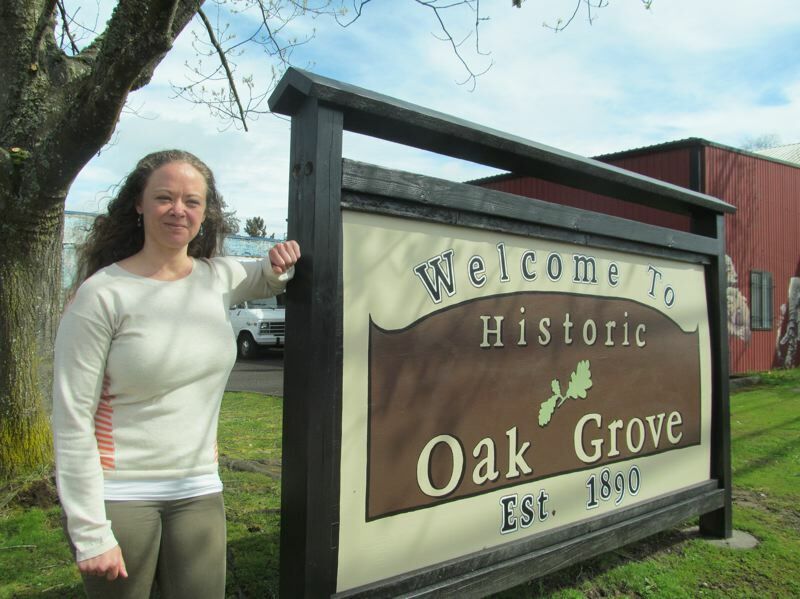 In March of last year, the two women were instrumental in establishing Historic Downtown Oak Grove, or HDOG, a diverse group of residents and business and property owners with a vision of revitalizing the downtown core, Paredes said. She is president of HDOG and the owner of two buildings in downtown Oak Grove that are currently being refurbished to make them more attractive to small business owners. Kraxberger, HDOG's treasurer, moved to Oak Grove with her family less than two years ago. HDOG is applying to become a 501(c)(3) organization, which will allow members to apply for grants to help fund activities. 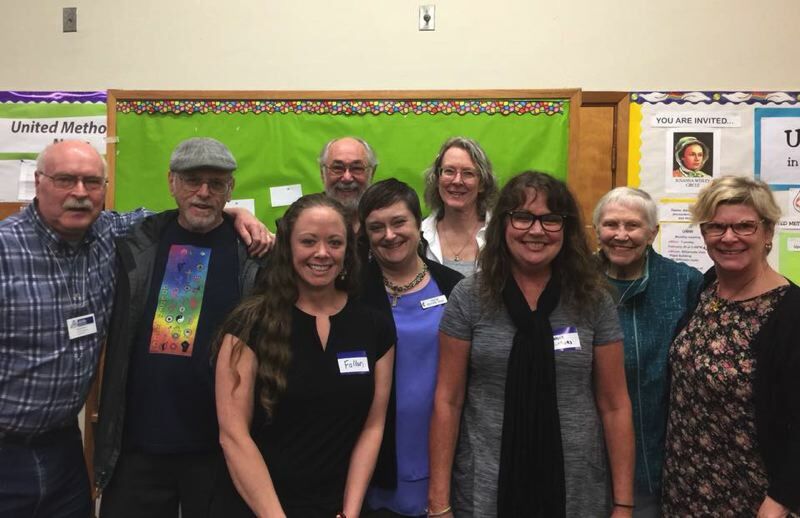 At their first meeting, the small group created a mission statement that states, "We will strive to revitalize and establish positive social, economic and community growth for all Oak Grove residents and businesses." The group decided that one way to create community was to host a street fair, and with no money and no experience they put together the first Trolley Trail Fest last August. "We pulled off a street fair with 40 arts and crafts vendors, the Rose City Clowns, a therapy pony and a beer garden with live bands," Kraxberger said. Both women noted that 400 people showed up for the one-day event in downtown Oak Grove. "On the heels of that great success, we hosted a Halloween Fest with the Oak Grove United Methodist Church," Paredes said. "Pastor Heather suggested we hold the event inside the church, where they had about 17 doors, so that kids could trick or treat at each door," Kraxberger said. Local businesses sponsored and decorated doors and provided candy, while the Oak Lodge Library also decorated a door and gave a book to each child. "The church opened its doors to people not in the congregation and even had a candle-lighting ceremony," Kraxberger said, adding that the North Clackamas Parks and Recreation District set up children's activities. Almost 200 children and families attended the event. The members of HDOG quickly realized that there are "multiple things you have to do to get the community involved. We know people want [revitalization], so we have to be a vehicle to make it happen," Kraxberger said. "This revitalization effort that historic downtown Oak Grove is going through promotes community place-making and pride," Paredes said. HDOG has reached out to and partnered with other community organizations and downtown business owners, among others. "It's incredibly inspiring. This is what people want, and they will make it better — it is exciting to me," Kraxberger said. The group has partnered with Oak Grove Daycare and Preschool in a recycling program to earn a bench for their school, and partnered with New Urban High School to cut down blackberry bushes on a piece of the school's property along Southeast Arista, Paredes said. "We are looking to install art on the fence line and would love to turn that property into a park. We need a community gathering place right on the Trolley Trail," Kraxberger said. After the Trolley Trail Fest, the Clackamas County Transportation Department contacted HDOG with the idea to create custom Trolley Trail-themed bike racks on the trail, Paredes said. The county also is seeking a Clackamas County Tourism grant for HDOG and the Friends of the Trolley Trail. If the application is approved, bike racks soon will appear in downtown Oak Grove. The racks will encourage cyclists to spend time in Oak Grove, which will be "one more step in the direction of revitalizing the economy and welcoming people to our beautiful, historic downtown," Paredes said. Another huge step the members of HDOG are planning is to work with Oregon Main Street, an organization that helps communities develop "revitalization strategies based on a community's unique assets, character and heritage." Oregon City has had great success with that same program, and Kraxberger said members of HDOG attended an Oregon Main Street conference and workshop in Oregon City. Oak Grove is "unincorporated, which is unique for Oregon Main Street," Kraxberger said. She noted that OMS usually employs a program manager funded by the participating city, but "we're not a city. We are all volunteers, and we are giving our time because we care." Other residents care, too, Kraxberger said, adding that 70 people attended a presentation by Oregon Main Street. Paredes said that three years ago, when her family-owned small business invested in the two buildings in downtown Oak Grove, the first thing she noticed was how the whole community embraced her. "I would be cleaning the curbs and people would stop and say 'Welcome to the neighborhood,'" she said. Kraxberger points out that a healthy business community thrives on Oak Grove Boulevard. Jeff Hogan, the owner of Cashbox, a business that sells ATMs and coin-operated video games, donated his parking area to be used for the Trolley Trail Fest and is allowing HDOG to maintain an oak tree on his property. Vinyl Tap used to be the Oak Grove Tavern, but is now a blues bar, bringing live music to Oak Grove. Businesses like these are valuable to have in the community, Kraxberger said, adding that Cranston Machinery is another asset, employing 40 to 50 local people. "Now we need places for those people to go and eat and get a cup of coffee; that would be a benefit for everyone," she said. "We want to reach out to a broader audience and let people know we exist. Our dream is to have a sign on McLoughlin Boulevard with an arrow pointing to historic downtown Oak Grove," Kraxberger said. Paredes noted that local artist Sarah Shay painted a new sign saying, "Welcome to Oak Grove," which is on the Cashbox property, and added that even just one sign can "impact a community's spirit." "I'm excited to see the momentum. We've had great support from the community, businesses and different organizations," Kraxberger said. "Keep an eye out for all the work going on in Oak Grove, and mark your calendar for the second annual Oak Grove Trolley Trail Fest on Aug. 18," Paredes said. "Truly, it is amazing what a small group of people with the same vision can accomplish in a short time. Imagine the influence a bigger group could have for the future of Oak Grove." This story has been updated with correct email address for Historic Downtown Oak Grove.